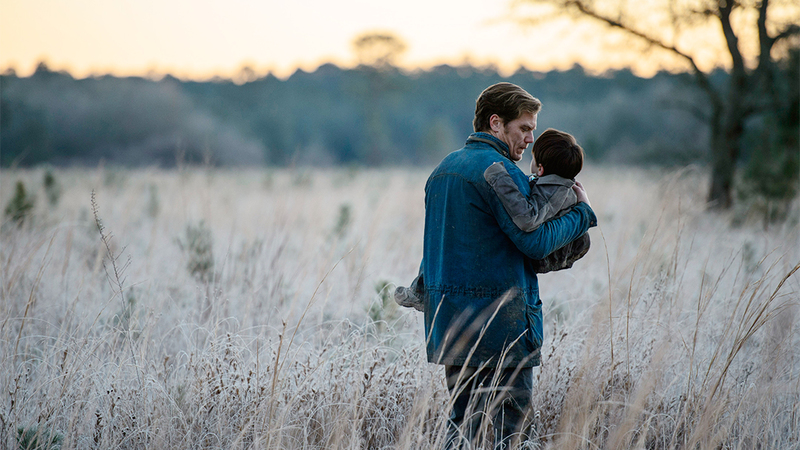 This is Jeff Nichols’s fourth feature film with his most well-known film being ‘Mud‘ from a few years ago. Nichols has an uncanny knack for delivering a story that focuses more on human interactions with family dynamics and character studies whether it be someone overcoming a big life problem or a coming-of-age story, with the big genre piece as a background. Not only that, Nichols has gotten his actors to deliver award winning and phenomenal performances in his previous films, and this one is no different, specifically with frequent collaborator Michael Shannon. For some science-fiction fans who only care for big futuristic set pieces with an action piece every couple of minutes, ‘Midnight Special‘ is definitely not for you. Rather, this is more of a steady pace that focuses more on its characters rather than weapons, planets, or spaceships. One thing is for sure though, once you start the film, you’ll be sucked into Nichols’s script, as it takes you on a thrilling journey that only gives you small crumbs to clues as to what might just be happening. 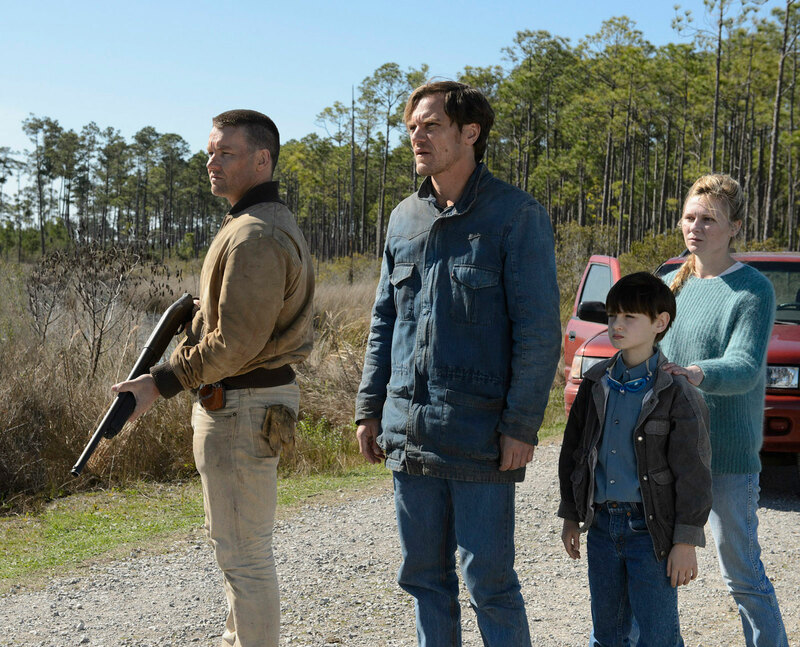 Nichols throws us into the middle of the story where an eight year old boy named Alton (Jaeden Lieberher) has supposedly been kidnapped from his place in a religious cult like ranch in Texas, where the cult leader (Sam Shepard) has raised the boy for a while. Alton is with his biological father Roy (Michael Shannon) and Roy’s long time friend and now state trooper Lucas (Joel Edgerton). They are driving across a few states to bring Alton to a specific location on a certain date. Along the way, they pick up Alton’s mother Sarah (Kirsten Dunst), who left the ranch when the cult leader took Alton away to raise him.
. 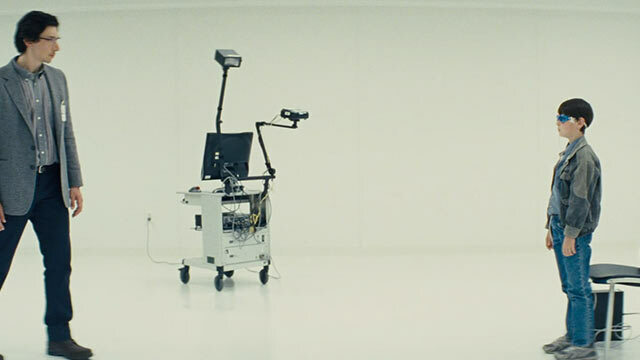 The story is told at a solid pacing as to not ever give really anything away until Nichols wants to let you in on his secret, which is also the movie’s flaw, in that there are so many unanswered questions and not enough time to develop a big enough backstory to fully connect on an emotional level with these characters. That being said still, ‘Midnight Special’ is executed well on almost every other level. The performances by everyone involved is top notch and you can see that Lieberher and Shannon have quite a bit of chemistry as father and son. Lieberher has a certain calm and cool way about him that just works, where Shannon shows his range of protectiveness in every father. Dunst and Edgerton also deliver the goods too. The visual effects are also equally impressive, although they are done on a much smaller degree, but with greater effect. 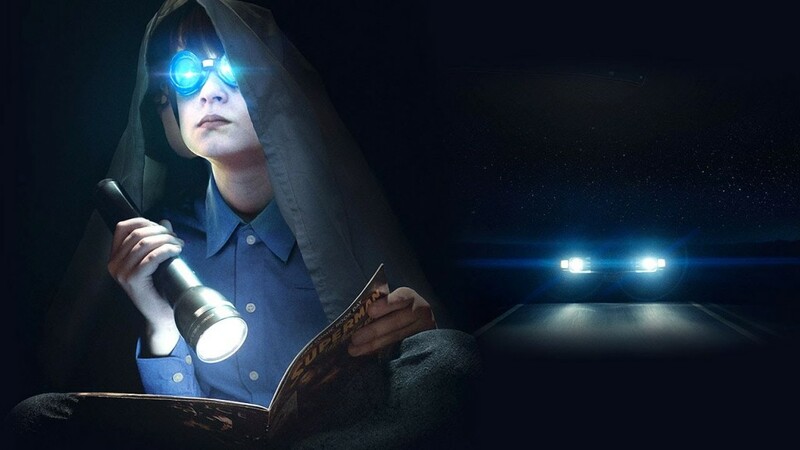 ‘Midnight Special‘ (like the song says), shines a light on you, one that you may have forgotten from your childhood, where you enjoyed these amazing sci-fi stories and characters. Jeff Nichols’s take on this genre is very welcoming, entertaining, and very thrilling from start to finish. This entry was posted on Thursday, March 17th, 2016 at 3:12 pm	and is filed under Film, News. You can follow any responses to this entry through the RSS 2.0 feed. You can skip to the end and leave a response. Pinging is currently not allowed. « Film Review: ‘Hello, My Name is Doris’! I dunno, because I don't want to. OK, then you leave me no other choice. I'm gonna ask you one more time, will you or will you not go out with me? I think my hand's slipping. No, don't do me any favors. No, no I want to. I WANNA GO OUT WITH YOU! All right, all right we'll go out.